I don’t know if I’ve mentioned this at all but towards the end of the Summer I will be moving to Manchester. It’s definitely something that I never thought would be happening but after realising that Jordan would be moving back up North and him asking me to go with him, I finally came to the decision to take the plunge and move away from home. Obviously this is a huge opportunity and massive step for me and I’ll hopefully be blogging the whole journey but before that all starts and before I get in to talking about my new home, new life and new job, I thought I’d take a look at my current home town and let you all know a little bit about my home and some of my favourite places here. I’m definitely going to miss it, especially with being a country girl through and through! I live in a little town in Wiltshire called Calne. I was originally born in Chippenham which is only about 8 miles away from where I live now. Calne is one of those country towns that doesn’t really have a lot going on; when I was younger I used to say that the only decent thing this town had was the bus out of it, but now that I’m a bit older and I think I’ve started appreciating its beauty a lot more. Is that weird? That I appreciate my town’s beauty? I don’t know… As you all know one of my hobbies is working out, I love frequenting bootcamp sessions and going swimming and I’ve recently started running a bit too. When it comes to exercises like this, Calne is the best place for it. Every road out of Calne leads into the countryside and the majority of them have amazing little country roads and foot paths to run along. One of my absolute favourite places to go in my hometown is my gym and although that sounds ridiculous as it’s only a gym, I love it because it’s so quiet and peaceful. My gym is set in the outskirts of the town; surrounded by fields and attached to a camping site, it’s the optiemy of country and I absolutely love it. 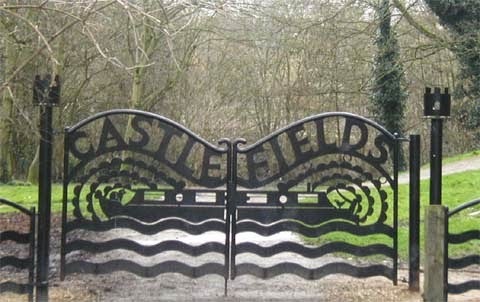 Surprise, surprise, my second favourite place around town ins a place called Castle Fields, a grassy area set aside from the centre with a fitness trail and picnic benches. I struggle so much with the monkey bars, but I really love how peaceful it is and yet how it’s so close to the main roads. 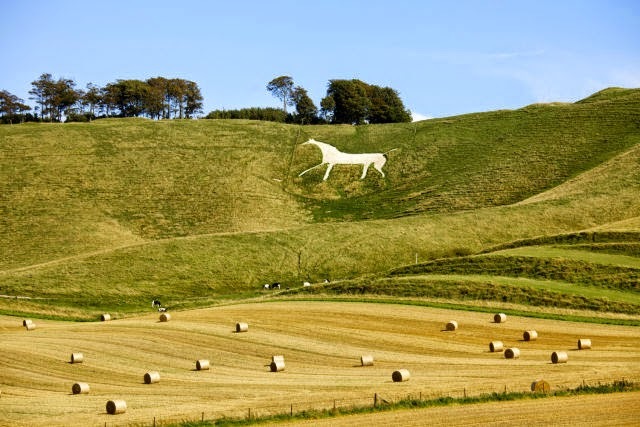 I think the beauty of my town is that no matter where abouts you go, there’s always something to see, even when you’re driving out of town, Cherhill White Horse and Monument catches your eye. It’s really lovely and although there’s not a lot going on here it’s something I’ll miss moving into the city. 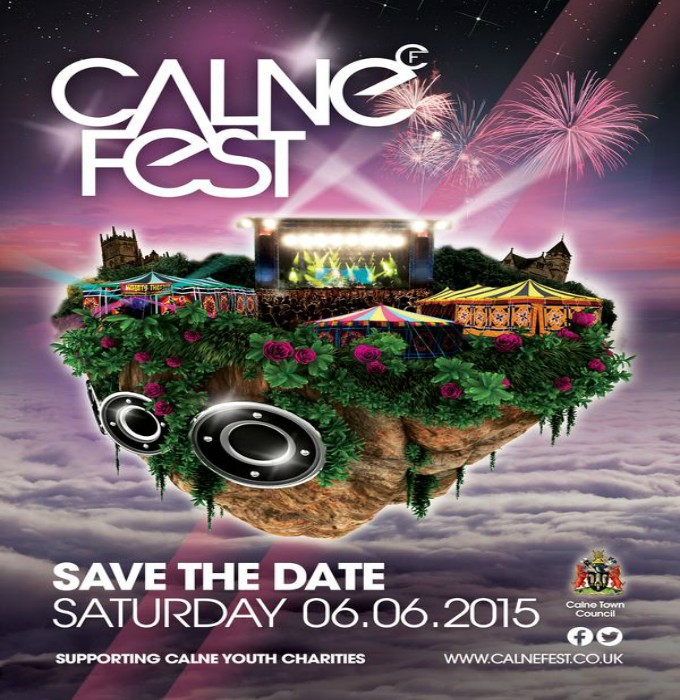 Another thing that I’ll miss about my town will be our summer event, Calnefest – I know, I know, it sounds cheesy as hell, but it’s really nice seeing such a small town pull off such a good event. I must say, I’ve only ever been through once but it’s a lovely atmosphere and it’s nice to just sit on the grass on a sunny day, sipping on a cider (total west country style) and listening to some local bands. A lot of local events are held in my little town and I’ve even held one myself before (Bentley’s Got Talent at my Secondary school, totally thought I was Simon Cowell!) – it can be tough work when you work alone but with the help of companies like Eventbrite and their great Event Management and Ticket Selling pages, events can be made easier for you to run. I really think I’m going to miss my town so much when I move – I’m so looking forward to the experience but being a country girl I’m definitely going to miss being in the countryside a lot. What do you love about your hometown? Do you have different opinions of it now that you’re older too?